I was the only Falls Creek ‘local’ seriously into mountain biking in the early 1990’s. I guess that’s not too surprising as the village population outside of the winter season was less than 100 and MTB hadn’t yet become a cool thing to do. Not many people visited the High Country in summer anyway. I had a great summer job at Falls, running the local supermarket which was only open 4.00-6.30pm. That left the bulk of each day free for roaming the High Plains — tough to have the mountains to yourself. NOT. Down in the Kiewa Valley, in the sleepy town of Mt Beauty though a small group of MTB guys was forming including Deano, Jake, Bernie and his McCardle clan, the young Panozzo brothers Joel and Adam. Preferring the cool mountain air I hardly ever rode down in the valley so our paths never crossed until the first Mitta to Mt Beauty event in 1992 which was more of a social ride then anything else. With the ‘made to be a MTB park’ Big Hill looming behind the town of Mt Beauty and a supportive local community, forming a mountain bike club seemed to be the way to go. Fortunately the proposed The Highland Riders Of Bogong (THROB) name gave way to Team Mt Beauty. I’ve never been into MTB racing, but it was fun riding with the Mt Beauty guys every now and then under the banner of the newly formed Team Mt Beauty. 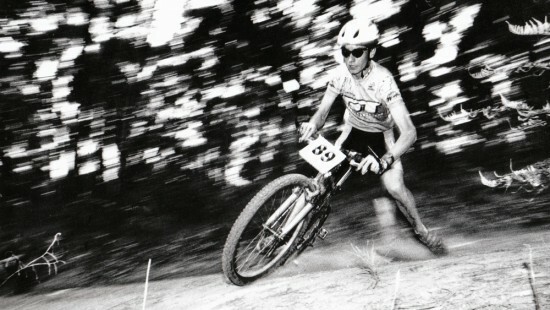 Those guys were into MTB racing and in the summers of 1993 and 1994 we trucked off to various events. Not that MTB racing was overly serious back then anyway. You just turned up with your MTB, rigid or with front shocks — RockShox Mag 20’s or Manitou’s were the weapons of choice — and raced around. The format was usually cross country first, then take your bike over for the downhill run. You might get a practice downhill run if you were lucky, you might just go straight into your timed run… shaking and rattling your way down the course with deluded visions of being the next Tomac or Herbold. Speaking of Tomac and Herbold, they both made it down to Australia for MTB events at Thredbo. Team Mt Beauty headed over to Thredbo too, for the first time in 1993. We also went to events at Myrtleford, Broadford, Yarrawonga and Mt Buller, where a young kiddie by the name of Cadel Evans was making his mark in the Juniors category. Bike-wise it was a great time to be into MTB. 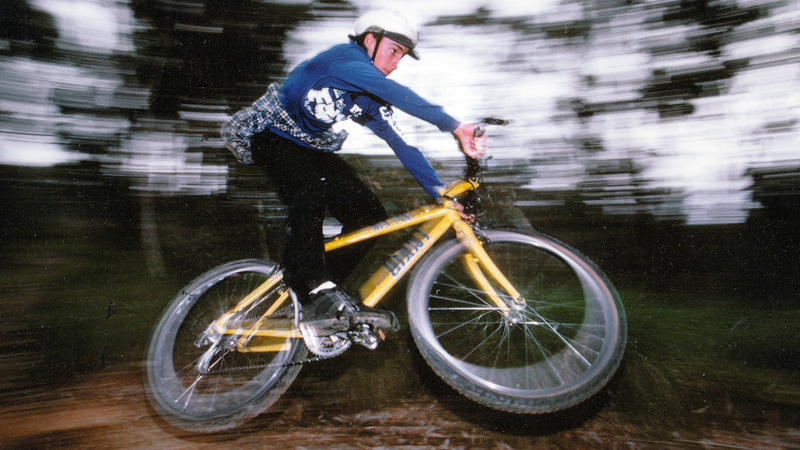 Hardtails had evolved to the point of being strong, capable, fun and fast off road machines. My ride was a 1991 Specialized Stumpjumper, loved it for many years. For whatever reason (a supportive distributor I guess) GT bikes seemed to dominate the race scene, most notably ridden by Rob Eva who seemed to win everything for a while there. I’ve never really liked their signature frame shape. No biggie. 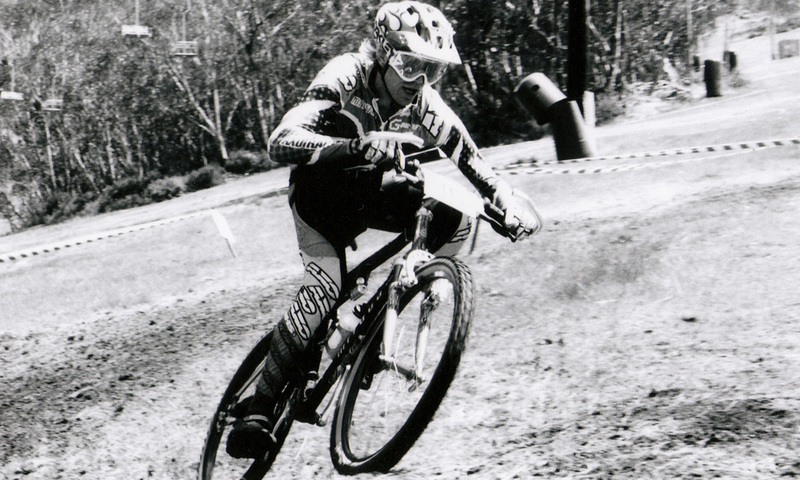 Mountain biking has grown hugely since the starry eyed days of THROB. Mt Beauty regularly holds national race events and Big Hill is one of the prime places to go for MTB riding in Australia, but not much has changed for me. I’m still just as happy to be out in the bush, spinning a wheel or two where it’s all about the ride, not the race.